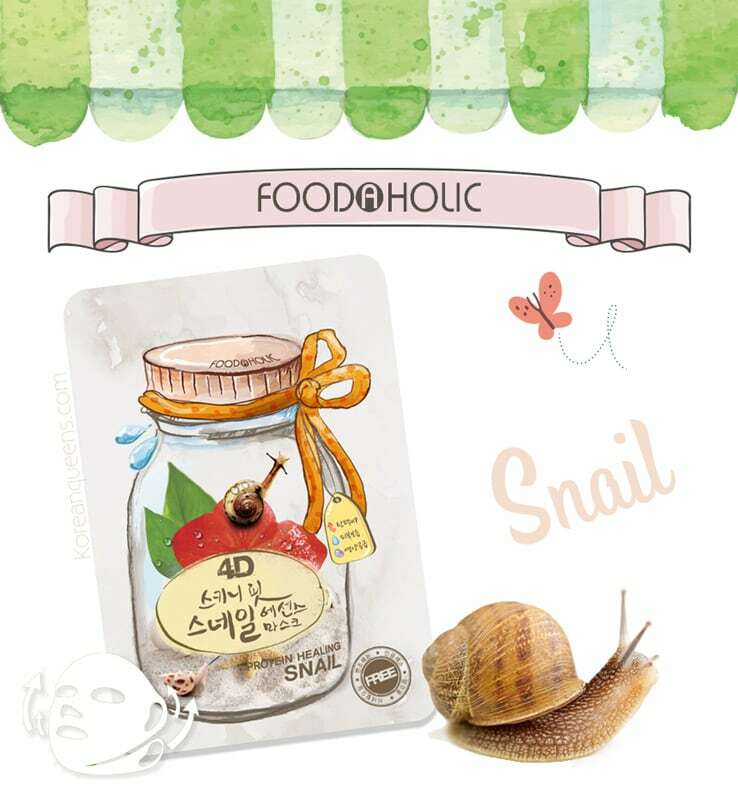 Foodaholic 4D Skinny Fit Snail Essence Mask this mask, is formulated with purified snail slime, gives your skin a fresh cool feeling. 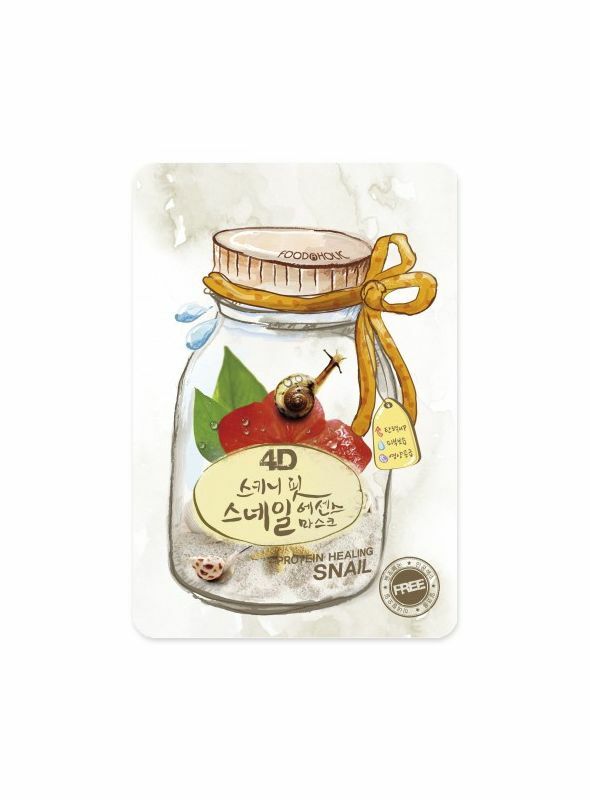 The mucin from snail slime that helps skin regeneration. It rejuvenates tired and aging skin by increasing collagen production and improving skin elasticity. Its anti-inflammatory and healing properties reduces acne scars, blemishes and repairs damaged and scarred skin. 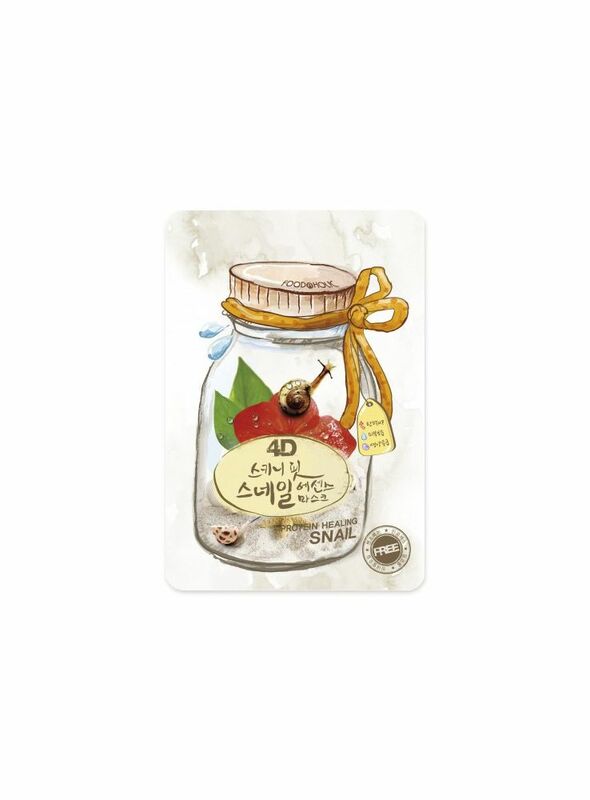 It is rich with moisture and nourishment for healthier and brighter skin. Restores lost tension and enhance skin elasticity and radiance, it creates a silky-smooth, bright complexion. It prevents skin damage, moisturizes, and improves skin health by forming a moisture-protecting layer. For all skin type, It’s safe formula is Paraben free, Formaldehyde-Free, pigment free, Steroid free, Alcohol free and Benzophenone free. 4D shape means a mask that not only cover your face but our neck, it contains two ear handles which can be handed onto your ear for a closer touch to your face during the facial process. You no longer have to lie down and worry how the mask will fall off during the mask process and feel free to walk around. 4-dimension sheet with ear hanger provides lifting effect to increase the adhesion and excellent moisture absorption into the skin. - How to Use: Match the sheet from the eye and fix it all over the face with a fingertip. Remove the mask after 20~30 minutes and use the finger to absorb the remaining fluids lightly and arrange the skin according to the basic care oder. 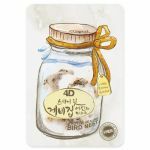 * Use as cold in summer: Before use, keep it in the refrigerator and enjoy a refreshing effect. * Use as warm in winter: Before use, soak it with the package closed about 2-3 minutes in 50-60ºC of water.